The IC-R8500 covers a wide frequency range continuously from 0.1 to 2000 MHz,* with 10 Hz resolution, while maintaining a high receive sensitivity. 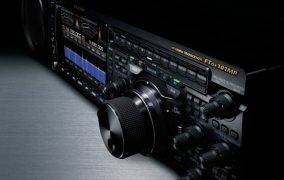 You can be sure that if there are any communications or broadcasts out there, you’ll be able to hear them with minimum interference from other signals. *Some versions have restricted coverage. Refer to the specifications for details. Radio signals are transmitted in a variety of modes. The IC-R8500’s all mode capability allows you to receive signals in many different modes, from the world over. 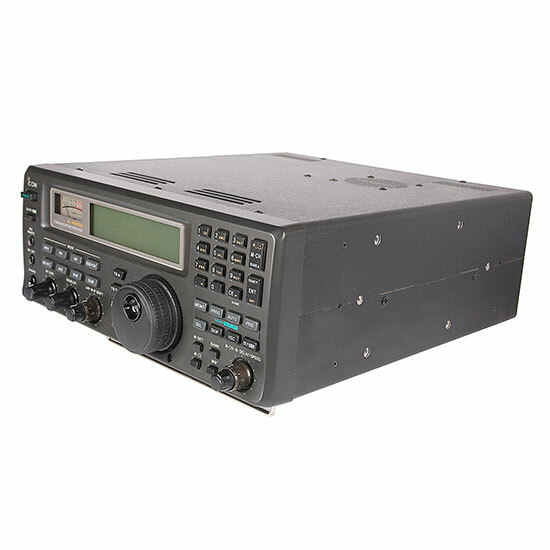 SSB (USB, LSB), CW, AM, FM and WFM are included, and, several ‘specialty’ modes, CW narrow,* AM wide, AM narrow and FM narrow are available to receive a variety of signals that require a matched pass band width. 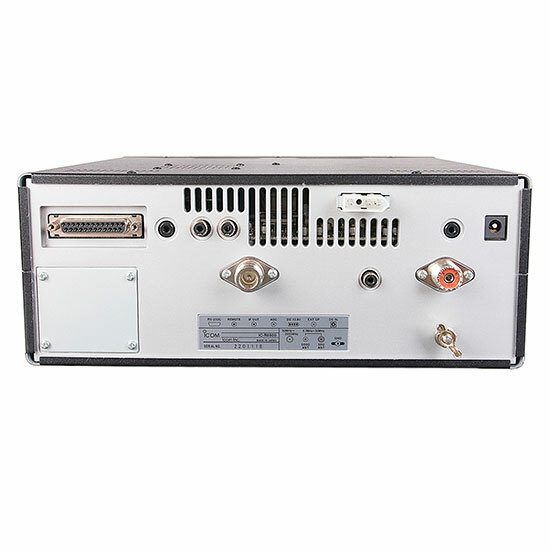 The optional TV-R7100 TV/F, adapter allows you to view TV broadcasts (when connected to a CRT monitor) and listen to FM broadcasts. The IC-R8500 has a superb high receive sensitivity over its entire range, and the built-in, high quality crystal (TCXO) provides good frequency stability of less than ±100 Hz below 30 MHz; less than ±3 ppm above 30 MHz. The crystal is the reference for the PLL and DDS circuits to achieve these specifications. IF shift and APF (audio peak filter) functions are built-in–a first for a receiver in this class. IF shift is used to reduce interference from nearby signals. It does so by adjusting the center frequency of the IF filter. APF is used to reduce interference from signals superimposed over a designed signal by adjusting the center frequency of the audio filter. The APF is especially useful when receiving CW, but is also useful in other modes as a tone control. In addition, a noise blanker, RF attenuator and selectable AGC functions, clarify desired signals when experiencing various forms of interference. A digital AFC function tunes the receiver to the center of FM or WFM signals. 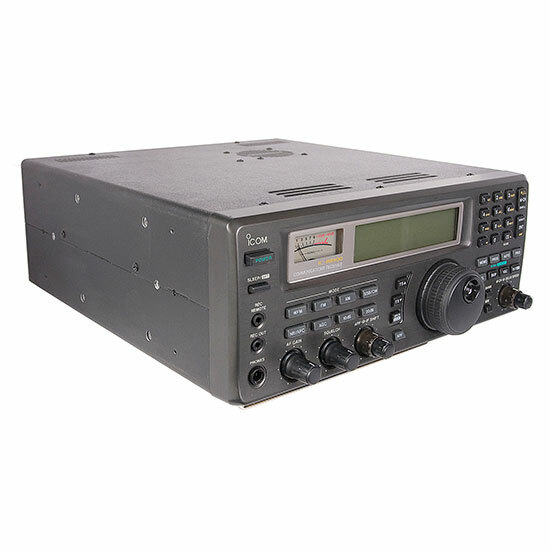 The IC-R8500 has 1000 memory channels providing versatile operating possibilities. Each memory channel can store a frequency, mode (including passband width) and tuning step, etc. To facilitate efficient use of memory channels, they are divided into 20 banks of 40 channels each plus an auto memory write area of 100 channels. Alphanumeric names can be assigned to the channels (up to 8 characters) and banks (up to 5 characters) for easy recognition. In addition there are 20 scan edge memory channels to store 10 sets of frequencies for programmed scan plus 1 priority channel of priority scan. And, the number of channels in each bank is user assignable. Memory editing capabilities include memory copy and paste function for easy transferring of data from channel to channel. An RS-232C serial port is located on the rear panel of the receiver for direct connection to a personal computer. Icom’s CI-V data communications format allows you to control and monitor many receiver functions from your PC, as well as to read data or levels in the receiver, such as AF gain, squelch level, received signal strength, as well as receive frequency, channel names and many others. For basic scanning, memory, priority and program scans are available. And, for more advanced needs, select, skip, auto write and mode select scans can be selected. The IC-R8500 scans very quickly and the speed is continuously adjustable up to 40 channels per second (in both memory and programmed scans) with a continuously adjustable delay time. Also, VSC (voice scan control) provides efficient scanning by skipping unmodulated signals. Customize the scan behavior to suit your needs. Two methods of frequency entry are available: using the tuning dial or direct frequency entry from the keypad. Use the method that best suits the situation. Numerous tuning steps are available for operating a wide variety of stations. They are 10, 50, 100 Hz, 1, 2.5, 5, 9, 10, 12.5, 20, 25, 100 kHz and 1 MHz. In addition, a programmable tuning step is available. The programmable tuning step can be set (independently for each memory channel) to a value between 0.5 to 199.5 kHz, in 0.5kHz steps.